Power Hydraulics combines the science of a first-class design/engineering & hydraulics firm with the top-rate welding & and a fabrication shop to better serve you. 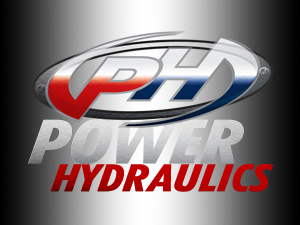 Power Hydraulics is a privately held company headquartered in Lake Charles, Louisiana. We are conveniently located between two oil towns—Houston and Lafayette, Louisiana. The Power Hydraulics team has designed and built a wide range of oilfield, industrial and related products including: Coiled Tubing Units (CTUs), Tubing Injectors, Capillary Units, single and umbilical Hose Reel Systems, Slick line Units, Hydraulic Power Units (HPUs), Wireline Units, Plugging and Abandoning (P&A) equipment, and Proto-Type/New Concept designs, among others. Power Hydraulics has built a reputation on our full service, ONE-STOP approach for the design and manufacture of custom built onshore or offshore power units, oilfield equipment and industrial systems. Power Hydraulics has designed and fabricated power units used by customers around the globe, Offshore Hose Reel Systems used in the Gulf of Mexico, Hydraulics Power Units (HPUs) used on-shore, or Coiled Tubing Units (CTUs) used in places as diverse as Canada, Indonesia, Chile and China. Let us help you design or build your next equipment purchase for the oilfield or industrial plant!